As of the 10th of June, you will be able to register a direct .uk domain name: instead of e.g. mydomain.co.uk for your company, you will be able to register mydomain.uk. What is the procedure and what do you need to know? Every country code Top-Level Domain has its own registry – the organisation that manages the ccTLD. For Belgium, that is for instance DNS.be, for the country code .uk, it is Nominet. When developing domain registrations, every registry defined rules; some registries chose direct domain names like mydomain.be, while other registries preferred to use subdomains that would create a hierarchy among domain names. Nominet chose the latter solution: companies fall under co.uk, non-profit organisations under .org.uk, individuals under .me.uk, the army under .mil.uk, the academic world under .ac.uk, etc. Short domain names however are better than long ones, because the user has to type fewer letters. That is why Nominet decided that, from now on, they would allow the registration of direct domain names, which will co-exist with the current hierarchic domain names. In order to avoid chaos though, where mydomain.uk would belong to one company and mydomain.co.uk to another company, a few rules have been devised. 1. If you already registered a .uk domain name, e.g. mydomain.co.uk or mydomain.me.uk, this string is automatically reserved for you in the direct .uk ccTLD, and it will remain so for five years (until the 6th of October 2019). That way, you have plenty of time to decide if you want to register the shorter domain name along with or instead of your current domain name. If you haven’t registered mydomain.uk within this time frame, this domain name will become available to third parties. 2. If there are two or more identical domain names, like mydomain.org.uk and mydomain.co.uk, the .co.uk version will have priority over the .org.uk and the .me.uk version. 3. 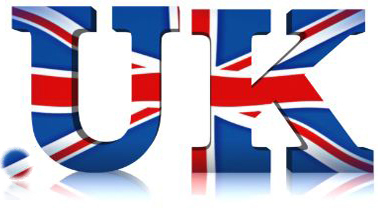 You don’t have a domain name in the .uk country code yet and want to register a uk direct one? In that case, you have to check first if the string that you want hasn’t been reserved for an existing indirect uk domain name. For this purpose, Nominet has released a tool that allows you to perform this check: the “Rights lookup tool”. Something else is new: if you want to register a .uk domain name, you or your company must have your legal domicile in the United Kingdom. If you do not have a personal address in the UK, don’t hesitate to contact us, for we have a solution for you.